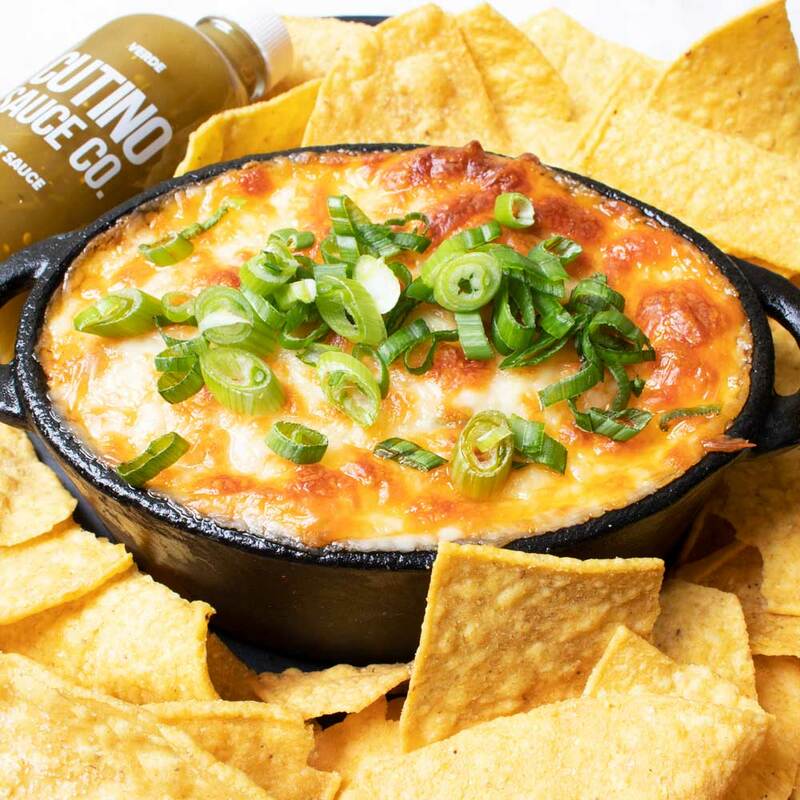 Verde Chorizo Queso - Cutino Sauce Co. In a large sauce pan over medium/high heat brown the Chorizo. Bring heat to medium/low, add Serrano & Onion sautéing until translucent. Shake flour into the mixture evenly, brown for 2 minutes on each side once flour is incorporated. Over low heat, stir in the remaining ingredients. Stir until smooth, then place into a small casserole dish. Top with more Monterey Jack, broil on low to brown the cheese.